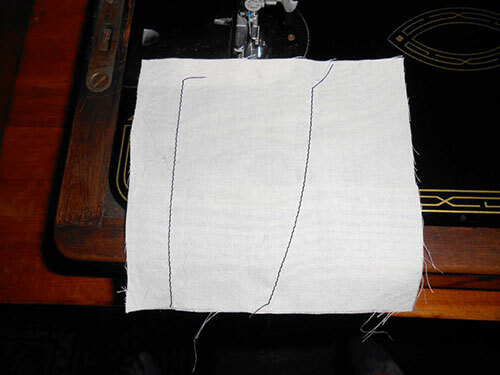 If you have a vintage Singer sewing machine, you may have noticed the phenomenon of side creeping, seen in the stitch sample on the right. It's frustrating to have to fight with your fabric to get a straight row of stitches, so I'll walk you through the process of adjusting the pressure on your presser foot (try saying that five times fast! ), so you can get a nice straight row of stitches. As noted in the Singer 99 manual, you can adjust thumb screw W downward to increase pressure on the presser foot and upward to decrease pressure. Most modern sewing machines do not allow for adjustments of this kind, so this might be a feature you're not aware of. Below, you can see that the pressure on the presser foot is very light. The pressure has been increased in the image below. For sewing through a couple of layers of quilting cotton, for example, my Singer 99k works best with heavier pressure. 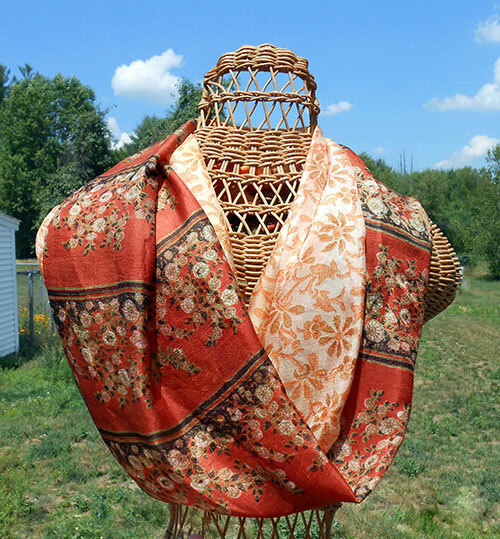 Otherwise the fabric has a tendency to creep to the side, as seen in the example on the right. On the left, I've increased the presser foot pressure, and the fabric feeds smoothly. You may have to experiment a bit with your machine to see what works best for you.